Colourblocks are a fun and interesting way to add a bold splash of colour to an otherwise simple piece. 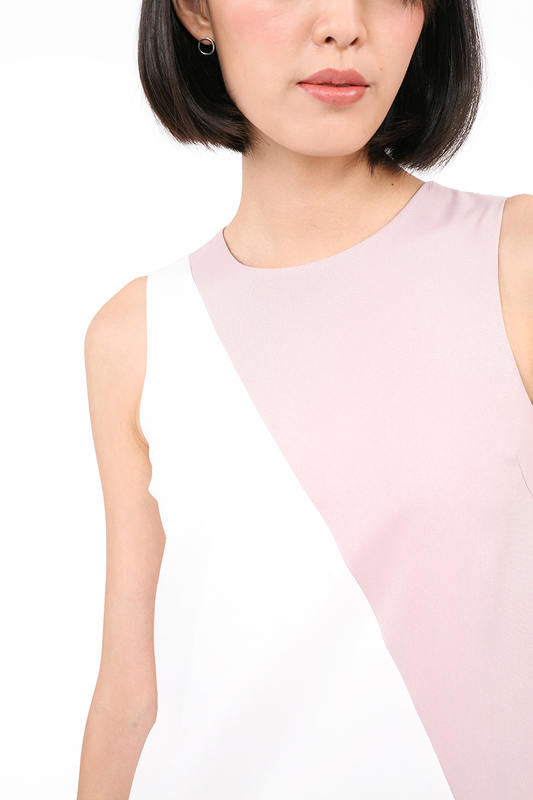 The Goiel Dress is designed with a diagonal seam that runs from the right shoulder to the left hip in three colourways perfect for anyone who’s looking to jazz up their work outfit. Fully lined, this knee-skimming piece comes with a concealed back zip and looks great with both heels and ballet pumps alike. Always hand wash garments that are white with coloured panels separately for the first wash. Do not soak. Length 31.25" 31.75" 32.25" 32.5"